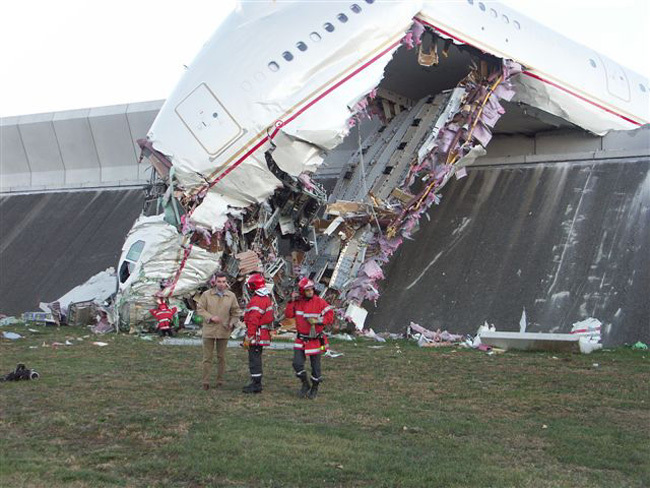 The Emery Airlines DC-8 crash near Sacramento was entirely caused by maintenance error, and Mr. Ditchey was an Expert Witness in this litigation. The Hawkins & Powers PB4Y-2 crash in Estes Park CO, involving the separation of the left wing in flight, was caused by numerous maintenance failures. Mr. Ditchey was an Expert Witness in this case. Mr. Ditchey was an Expert Witness in a case involving the forced landing of a Cessna172 due to total loss of oil, caused by a maintenance failure. Mr. Ditchey was an Expert Witness in litigation involving the gear-up landing of a Piper Malibu due to maintenance error. There are other cases as well. 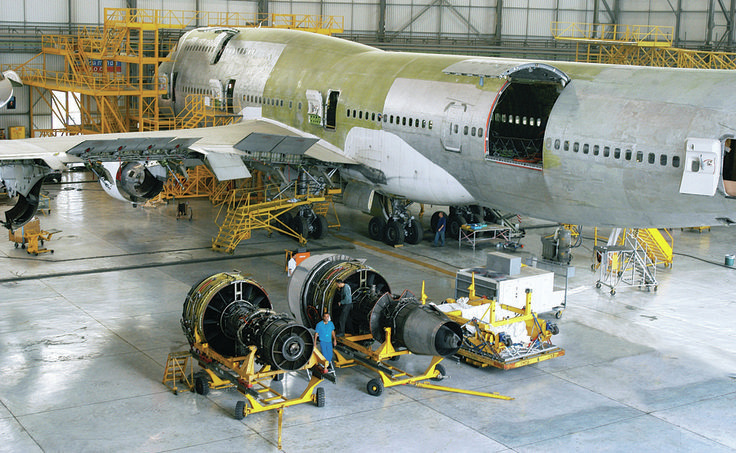 Mr. Ditchey has had considerable experience as an airline maintenance executive at four different major airlines. At Pan Am World Airways, Mr. Ditchey had overall management responsibility for the jet engine repair facility at JFK, with some 1,000 engine mechanics under one roof. While it may be hard to believe, the above image is of an accident that was caused by the sole mistake of mechanics. The mechanics tried to taxi the aircraft, an Airbus 340, but made a serious blunder. The aircraft was a total loss.